Yacht Dufour 325 Grand Large called Bijoux has been manufactured in 2006. 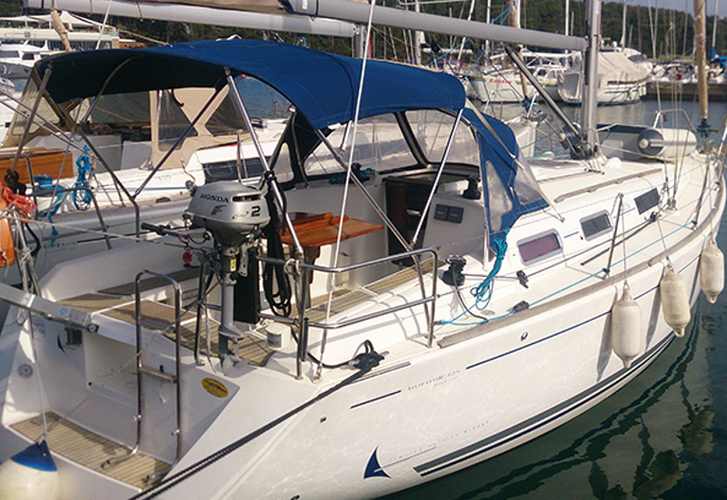 We propose this boat from port Pula just a few kilometers from Istria. Bijoux is certified for 6 persons. Layout of the vessel is 6 (4+2). 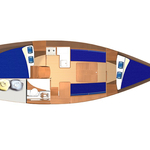 Dufour 325 Grand Large Bijoux is equipped with 2 cabins. For comfort of passengers there are 1 WC with showers. You can fill the tank for fuel with 90.00 l liters and in water container it goes even 160.00 l liters. With engine 20 hp Bijoux can navigate really fast. Bijoux is 10.08 m long and 3.40 meters wide. 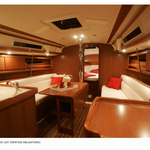 Depth is 1.55 m. Read about other boats by going here: Yacht charter Pula. 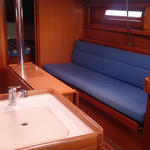 Yacht's equipment includes : Furling mainsail, Autopilot, Gps plotter, Bimini top, Dinghy, Anchor electric windlass, Outboard engine. . Security deposit is at the level of 1250.00 EUR. Choose our offer and enjoy your vacation on the deck of Bijoux. 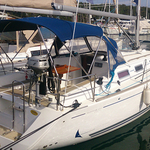 This Dufour 325 Grand Large from Pula from Croatia You can find by moving to this section: Yacht charter Croatia.